Yes, a lot of fun! Thanks for hosting! It looks like a lot of fun, the first one looks a tiny bit drunk. Haha, the first one captures the cute baby bum! Thanks for stopping by! ? Haha thanks, there really was quite a talented bunch of ladies in the room! Thank you, yes it really was a good laugh, and definitely a game I would recommend to have in every baby shower! very intrigued to what they are? 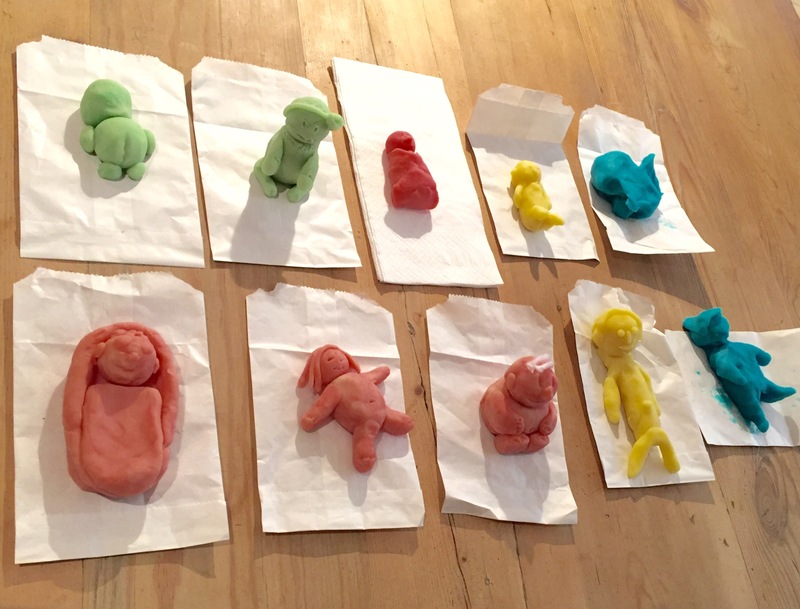 It was a little baby shower game where we each had to model a baby out of play dough and the Mum to Be picked her favourite! Much fun, especially since she chose mine to be the winner! Hehe! Haha yes, I love that one too! She captured it quite beautifully in play dough! Thansk for stopping by!